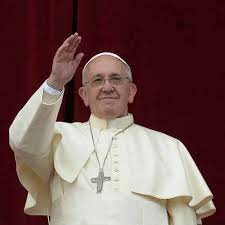 On Saturday 24 October 2015 the Synod on the Family came to a close and Pope Francis delivered his closing address. He thanked all those involved in the Synod and asked "What will it mean for the Church to conclude this Synod devoted to the family?" He said that the Synod was not about settling issues but attempting to see them in the light of the Gospel and the Church's tradition and two thousand year history. The Pope said that it was about interpreting reality through God's eyes. St. John Paul II: "the Church lives an authentic life when she professes and proclaims mercy… and when she brings people close to the sources of the Saviour's mercy, of which she is the trustee and dispenser". Benedict XVI: "Mercy is indeed the central nucleus of the Gospel message; it is the very name of God… May all that the Church says and does manifest the mercy God feels for mankind. When the Church has to recall an unrecognized truth, or a betrayed good, she always does so impelled by merciful love, so that men may have life and have it abundantly (cf. Jn 10:10)".